Looking to buy steel roller coaster rides? 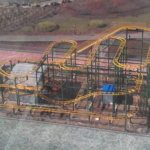 Welcome to Beston Amusement – Steel Roller Coaster Manufacturer. As we all know, steel roller coaster is a roller coaster that defined by having a track that made of high quality steel. 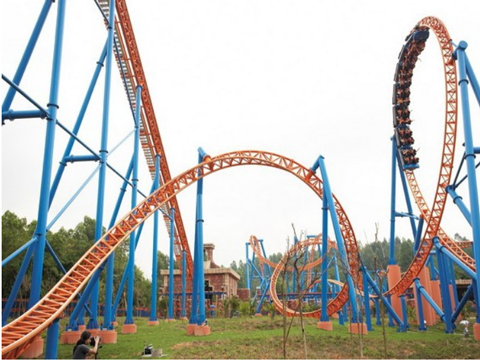 Steel roller coasters have earned immense popularity in the amusement park these years. Incorporating tubular steel track and polyurethane-coated wheels, steel roller coaster rides will provide a taller, smoother and faster ride with more inversions than a wooden roller coaster. Steel roller coaster rides get more popular than the wooden roller coasters. Steel roller coaster rides have generally smoother ride that the wooden counterparts and due to their strength rides will have more complex and faster turns and twists without hurt riders. Steel roller coasters will give people a larger adrenaline rush when riding these steel roller coaster. It is much more interesting than the wooden roller coasters. 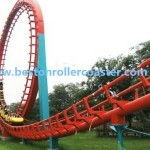 Steel roller coasters for sale from Beston Group are safe than other roller coaster materials. Steel roller coaster rides still held the tallest, fastest and longest records in the world. 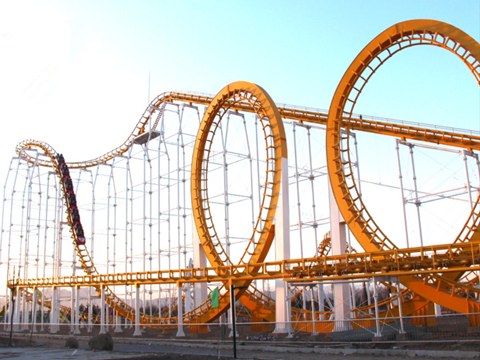 Steel roller coaster have made a large variety of features, such as the loops, barrel rolls, corkscrews and etc. 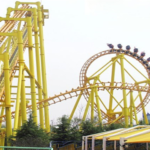 There are different types of steel roller coasters that ca be made in Beston, Inverted steel roller coasters, suspended steel roller coasters, hanging steel roller coasters, floorless steel roller coasters, family steel roller coasters, 3, 4, 6, 8 ring steel roller coasters and etc. Beston use high quality steel when making the steel roller coasters. 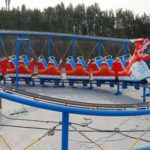 6 ring steel roller coaster is a kind of scoter type amusement rides. The equipment mainly consists of taxiway, column, train, traction system, brake system, electrical system and other parts. Total length of the track is 720 meters. There are high-speed subduction slide sections, vertical section sections inverted at high altitude, spiral section, horizontal section sections and etc. 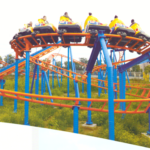 The 6 ring steel roller coaster consist of 6 cars and each of the car can accommodate 4 passengers. Passengers will sit in the roller coaster train. The train will connect with the frame, the frame will connect with the bridge. Each side of the bridge are equipped with a set of wheels. Each wheels has two load-bearing wheels, 2 side guide wheel and a reverse wheel. Each wheel group will covers the roller coaster tracks from three direction, up, down and inside. This makes the whole 6 ring steel roller coaster. 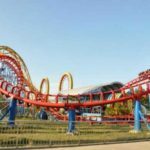 We can say that steel roller coaster and wooden roller coaster can be the most two kinds of popular roller coaster in the amusement parks. We all know that roller coaster rides get popular because they sells the thrill of both height and speed as it suspends a group of passengers in the sky when it travels with a speed more than 70 mph. There are many differences beside the materials. First of all, the energy is different. We all know that steel roller coaster run much faster than the wooden roller coasters. This just caused by the energy. The energy gathered by roller coaster as it accelerates over its tracks. Construction of the steel roller coaster may be cause a greater amount of lost energy. But they can still pick up more energy by the end of the ride than the wooden theme roller coaster. So steel roller coaster run faster than the wooden roller coasters, this is the first reason why they are different. Second, usually we can judge the steel roller coaster and wooden roller coasters by their height and length. Steel roller coaster always comes higher than the wooden roller coasters though their length is same. Because of its materials, it is hard to build higher wooden roller coaster. Then it comes to the riding experience. Usually steel roller coasters run faster than the wooden roller coaster and steel roller coaster are safe than the wooden roller coaster. Wooden roller coaster also smoother than the steel roller coaster. So when riding the steel roller coasters, passenger will enjoy much more fun than the wooden roller coaster. They may riding high speed, they may speak louder, they may enjoy large scopes and etc. Steel roller coasters will create much more thrill experiences for people. Last but not least, steel roller coaster are suitable for adults who are seeking for thrill feelings while maybe wooden roller coasters are suitable for kids. Because steel roller coasters are thrill and wooden roller coasters are smooth enough for kids. 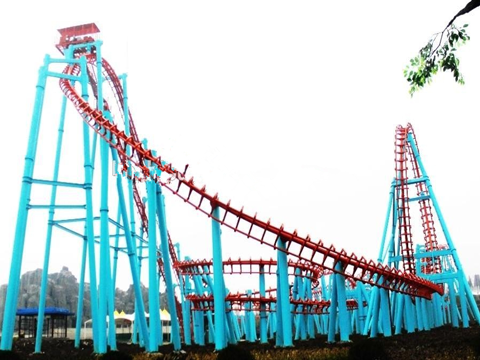 Steel roller coaster is one of the most popular roller coaster amusement rides which employs a form of elevated railroad track designed with tight turns, steep slopes and also inversions. Passengers will ride along with the steel roller coaster track in an open cars and also tied by a safety belt. These large steel roller coaster rides often found at the amusement parks and large theme parks. 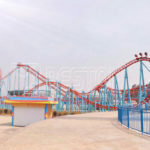 Beston, as one of the largest roller coaster rides manufacturer, we had just exported one set of 6 ring roller coaster to Iraq and a large steel roller coaster to Pakistan. 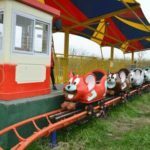 If you need to buy steel roller coaster rides for your amusement park and want to build a large roller coaster for your park. Welcome to Contact Us now!